When I turned thirty I married myself in front of all my guests at my birthday party. Some, I suspect thought this a desperate act by a woman who, according to my patriarchal dictionary was, by definition a ‘spinster’ as an unwed woman over the age of thirty. Regardless of how unconventional it seemed at the time, I just felt an inner need to do it. In the three years leading up to this I had felt inspired to create & facilitate ‘Tantric Bridal Showers’ which offered an alternative to the degrading pub crawl in a tulle veil & hen badge. In these ‘Secret Women’s Business’ nights I would veil the bride “to” be & ask her to take three vows to herself. These included agreeing to uphold her personal values, educating her partner & children as to the gifts of the feminine & honoring the needs of her body, mind, emotions, & spirit in every choice she made. 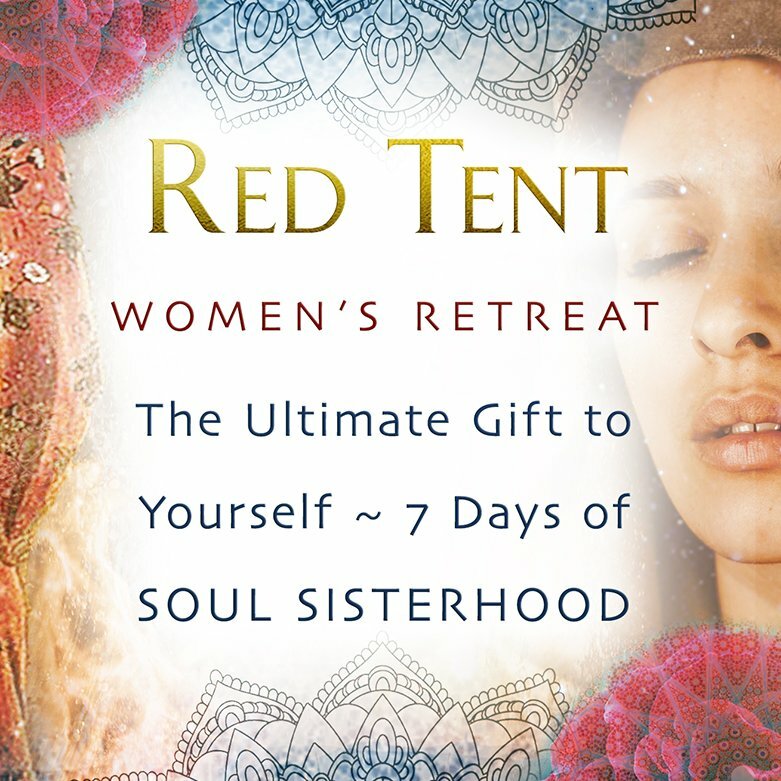 This commitment to Self was witnessed by her inner circle of soul sisters in the Red Tent who would then support her in married life to uphold her vows. The idea behind this was that I questioned how we could truly take vows to commit to another when we hadn’t first made that commitment to ourselves For it seemed to me a precarious act to make vows of intent to another if we didn’t start from such a solid commitment to self to back them up! Formally stating that we can count on ourself to not compromise our truth is an act of self “love that I see as a necessary condition of entering into conscious partnership. When we consider that people treat us according to the standards & boundaries we set as acceptable, this simple but profound act of power ensured a mutually honoring union one could commit to whole” heartedly without hesitation or fear of commitment. Growing up in a largely unconscious culture that ostracized people who were single as ‘wallflowers & losers’, it is ironic that what makes someone a truly good partner is how much time they have invested in knowing, understanding & healing themselves, (which is undoubtedly easier without the demands of a relationship or family responsibilities). That said, there are certain lessons that can only be learnt through relationship with others, so ultimately it’s about finding a balance between what we learn from both time with self & time with others. When we consider the nature of our universe is holographic, meaning everything we create in our subjective experience of reality is a mirror of our conscious thoughts & unconscious expectations, it makes sense that to create a truly committed & loving partnership we must first make a deep commitment to love & honor ourselves & since love is a verb that means making loving choices & actions. How we feel about & treat ourselves will be mirrored back to us in those who we attract into our reality. In addition, the greater the capacity we develop to truly love & honor ourselves through conscious choice, the greater our capacity for truly loving & honoring others without fear based agendas. Before we can commit to another with the best of intentions, we must also make a commitment to that which is greater than us alone (the ego) & for the highest good of all. Call it what you will “Spirit, Source, God, the Universe, the Force or whatever ‘Tupperware label’ sits comfortably with you. Making this commitment to serve our collective, ‘Oneness’ marks the shift from ego to soul. This is the second birth, when one is ‘born again’ not into a specific doctrine but to the realization they are here to serve the greater or true self, the Soul which is part of the one ‘World Soul’. For unless we have made this decision to serve the Divine plan by fulfilling our potential in service to the greater good, we will look to our partner as ‘The One’ & expect them to save us, by being the center of our world & fulfilling the infinite abyss within us which is not a fair expectation of a fellow human being & one which only creates such a clingy dependency that one’s mate soon feels cramped by their overwhelming need. 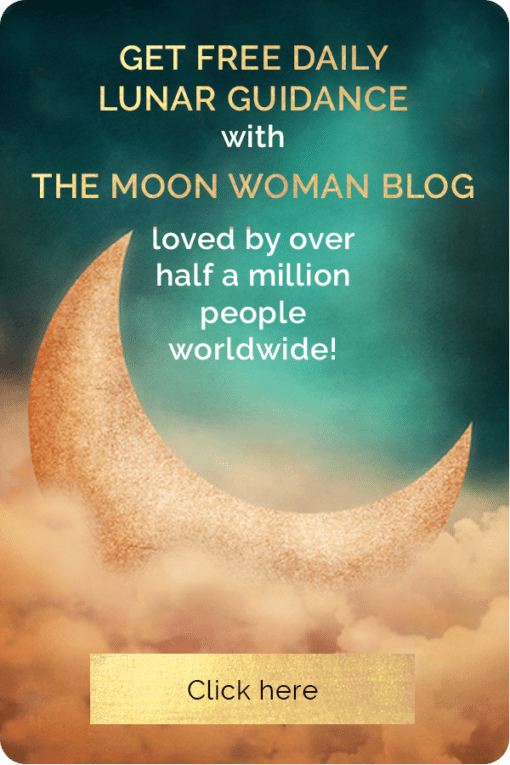 When we make this commitment to embark on a path of spiritual growth, seeing every experience as a lesson, we make the transition from the child who blames others & feels sorry for themselves whilst unwittingly hurting others into a conscious adult. I see this as one who examines their thoughts & actions so they become wise & humble through self “reflection & the seeking of a higher truth. It is important to add here, that it doesn’t matter what path you take so long as it deeply resonates with your own soul. Personally I’m not a fan of ‘off the shelf’ doctrines, groups or philosophies that claim to have the only exclusive path. As our truth is ultimately dictated by our own conscience if we take the time to listen & is reflected in all paths just as the Divine is. It doesn’t matter what practice you adopt, whether it’s a traditional sacred path like Tai Chi or just sitting by a lake or talking to the Higher Mind by reading the symbology of the clouds “all that really matters is that you make regular time to do it. I like to take inspiration from a wide range of spiritual paths, just like I enjoy cooking & eating foods from various cuisines. It is all Divine in essence so it’s not as if you’re a naughty child disobeying your parents by honoring the Divine in a form that is different from the standard Judeo/Christian meat & three veg equivalent you perhaps were fed growing up. So if you feel like creating a meditating Buddha & lotus water feature in your garden to create a serene sanctuary where beauty can uplift your soul or if you were raised Hindu, there’s no reason you can’t sing your heart out to Aretha Franklin’s Gospel CD for a DIY Spiritual high! Both of these marriages to Self & to Spirit are the essential building blocks for the new paradigm of Sacred Union, a conscious partnership that honors the holy trinity of self, other & the all. This creates a pyramid energetically, a temple of mutual growth so the union fosters an upward spiral of evolution, rather than a downward spiral of entropy which is what occurs despite our best intentions when we only focus on the other as a way of getting our needs met. In the Tarot, this level of codependent partnership is illustrated in ‘The Devil’ card which portrays a couple who are operating unconsciously from their lower selves, outwardly pursuing that which they desire rather than developing those qualities within themselves. This is indicated by them focusing only on each other, a level of awareness which keeps them shackled as they unconsciously expect their partner to fulfil them & then resent them when they don’t. This anchors a dynamic of dependence & need as the wounded child within each seeks to be unconsciously parented by the other. 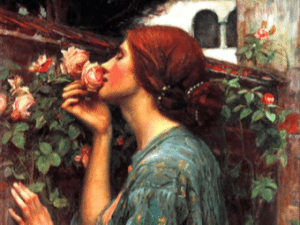 In the card, ‘The Lovers’ the same couple are featured but the woman is instead focusing on Spirit…this symbolizes that the feminine aspect is now fulfilling her soul’s potential rather than looking outside herself for someone to save her from her misery & sense of separation. This dynamic occurs both internally & externally in partnerships. 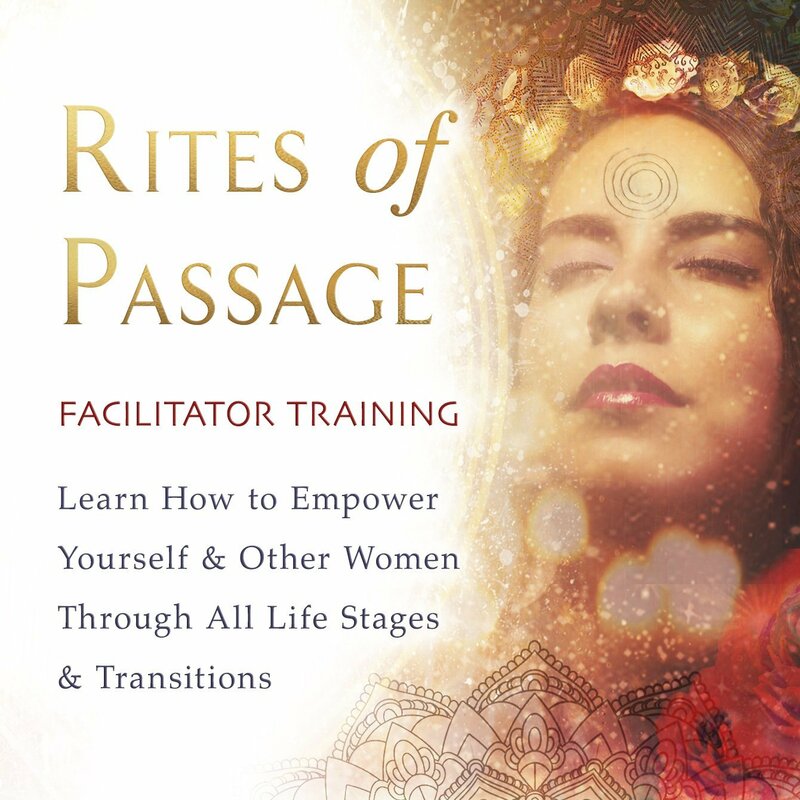 For example, externally it is often the woman or more feminine partner who will pursue a relationship with Source in order to explore her inner self & connection to the All. She will then try to inspire her more masculine partner to do the same. If they awaken their own inner feminine the partnership will grow to the next level by ascending the Tree of Knowledge. If they however, reject her feminine inspiration to grow! she will either suppress or compromise her inner truth & need for growth at a cost to herself or eventually leave the partnership to be in alignment with her core values. Internally this dynamic also occurs within us, with the feminine part of us seeking out greater inspiration & meaning. This increases our receptivity to intuitive guidance so our rational ego (our masculine self) may then externally act upon it. 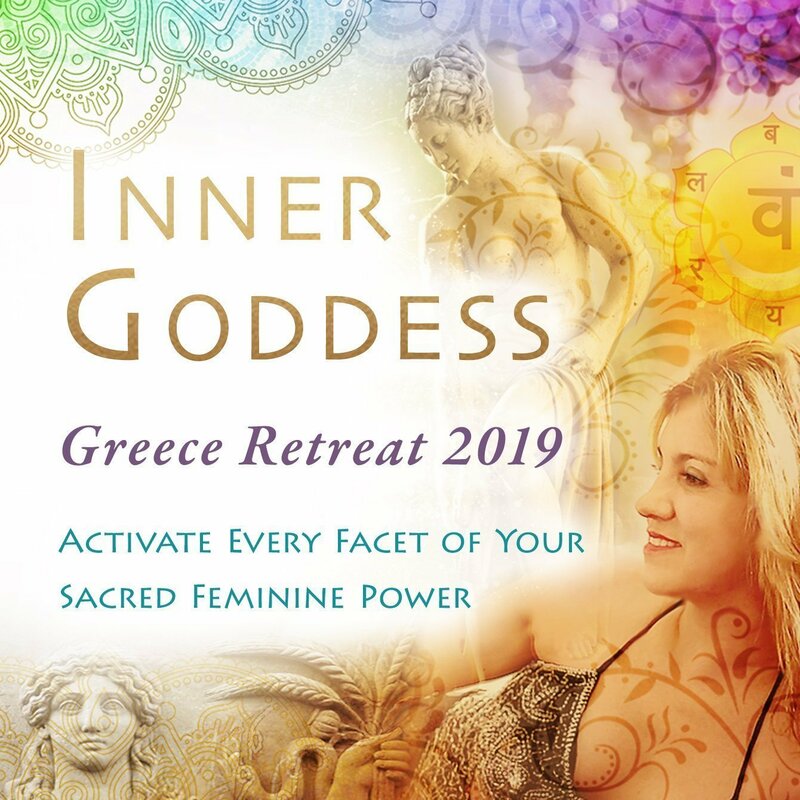 For women or feminine dominant males who lack confidence in the external world they may first need to awaken the courage to act upon their convictions before they can empower their inner masculine to take action. This fuels us to create situations that reflect this. Then it is possible for us to live Heaven on Earth in every aspect of our lives, as in this card we are the embodiment of love so we attract a reflection of this in every moment.